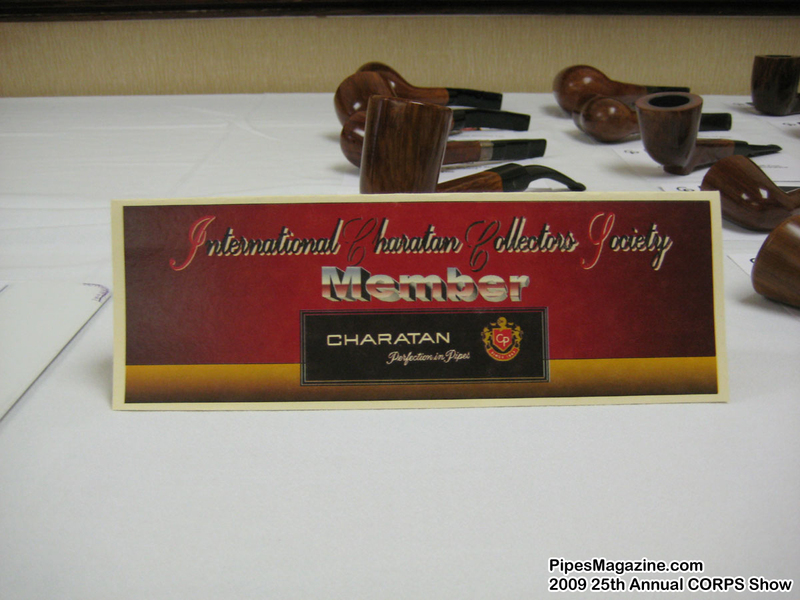 At the 2009 Richmond Pipe Show, the International Charatan Collectors Society (ICCS) held a private meeting for members only and PipesMagazine.com was kindly invited to attend. 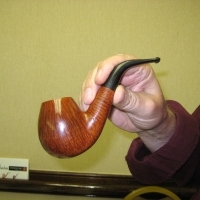 If you don’t know about Charatan Pipes, they actually have an interesting and unique story. 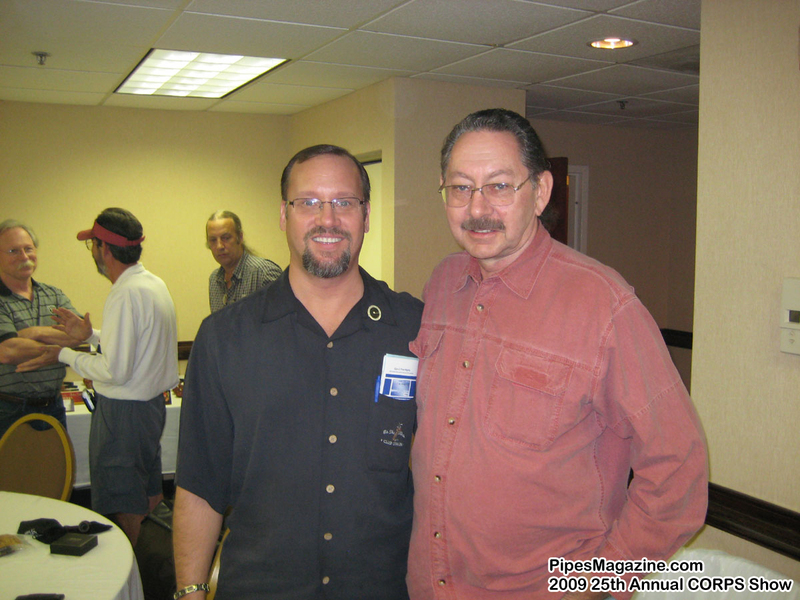 The founder of ICCS, Bob Swanson invited us to attend and this is what he told us. 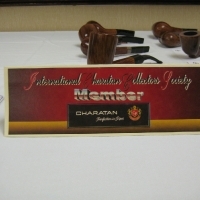 The ICCS is the International Charatan Collectors Society. We started the society in 2006 in Chicago, and it was actually founded by myself - it was my idea, my baby. And it was to try to bring Charatan collectors together from around the world because we just seemed so segmented, and wondered where all the collectors and Charatan pipes were. 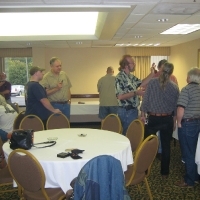 So, we got together at the original meeting - as I said, this was in Chicago. It was Charatan heaven for the Charatan collectors there. The first meeting had 33 people in it. The pipes were absolutely awesome, unbelievable. The tables were covered. 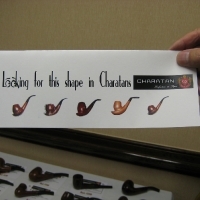 We saw pipes that Charatan collectors were just drooling over. There were originally 28 charter members and five of those were from England and the club has grown to 38 at present. There was a lot of controversy originally when we started it because we wanted to keep the club to people who own Charatans. We wanted people who were collectors and already into Charatans. So we had a rule which we started which is called the "Five Pipe Rule". 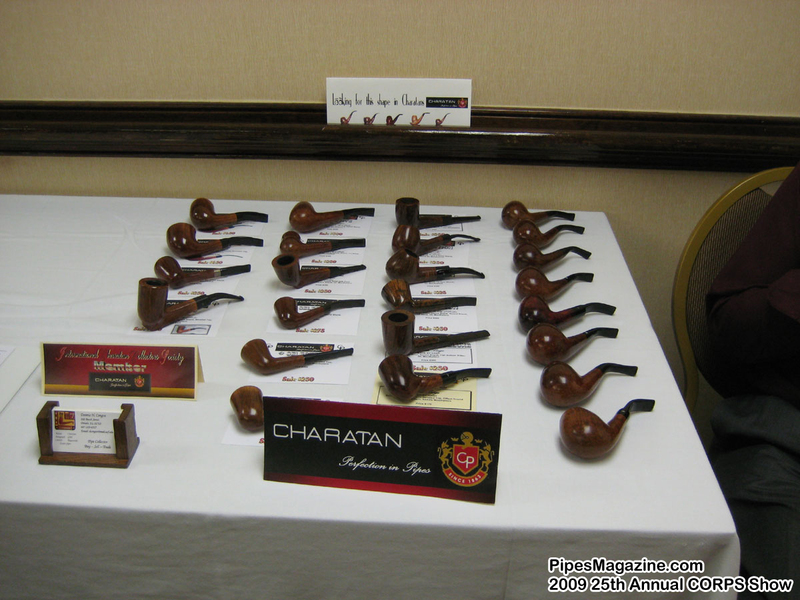 In order to get in you have to have 5 Charatan pipes. 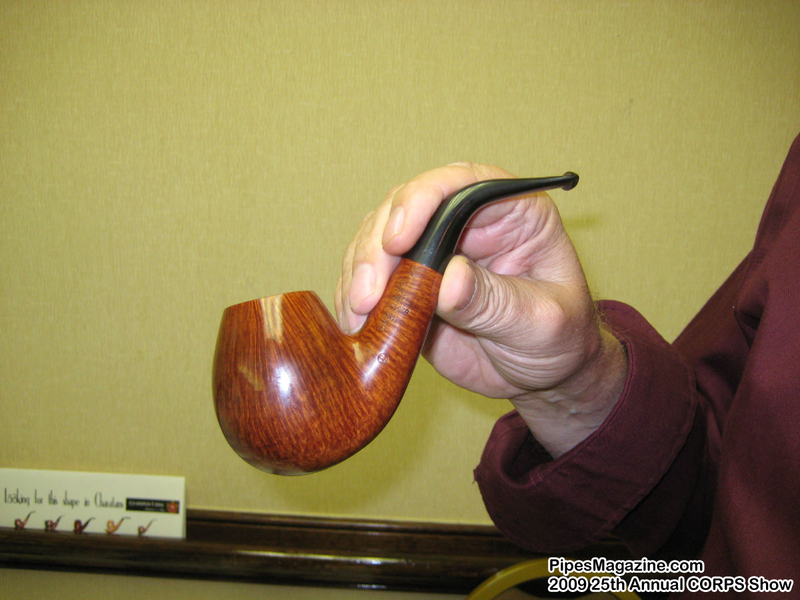 It created a lot of controversy in the pipe world and among pipe smokers, and there were pros and cons on it. 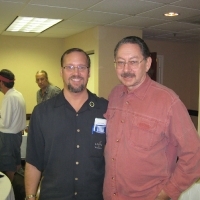 Mr. Burla who runs the Chicago show was not real happy with it, but I didn’t back down and we ended up doing it and it became something the Chicago Club and Frank Burla himself finally thought it was a great thing. And it kept it a little bit … I don’t know, in my words maybe pure. So, that’s how the International Charatan Collectors Society started. 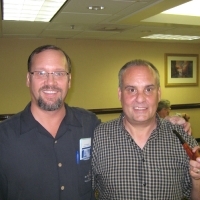 PipesMagazine: So, in the beginning Frank Burla from the Chicago Club was not in agreement with the Five Pipe Rule? Bob: The Five Pipe Rule, yeah. PipesMagazine: But now he’s embraced it? Bob: He’s really embraced it and you know Frank was very turned on and very supportive. I don’t want to say he wasn’t supportive. He was very supportive it was just the Five Pipe Rule. And actually the whole Chicago Club just loved the idea and it generated and spurred more clubs. And a Dunhill Club was started. Trying to think what we called it. Originally it was like a, you know a seminar as something to further Charatans and all of a sudden Dunhill wanted to do it and Camoy wanted to do it. So it really got a lot of activity and brought a lot of people into the Chicago show. And you know they loved what was going on and it’s, it’s been very good for all of us and we’ve marked out a lot of charter members, and you know a lot of names that everybody knows that belong; including Fred Hannah and Rich Esserman. 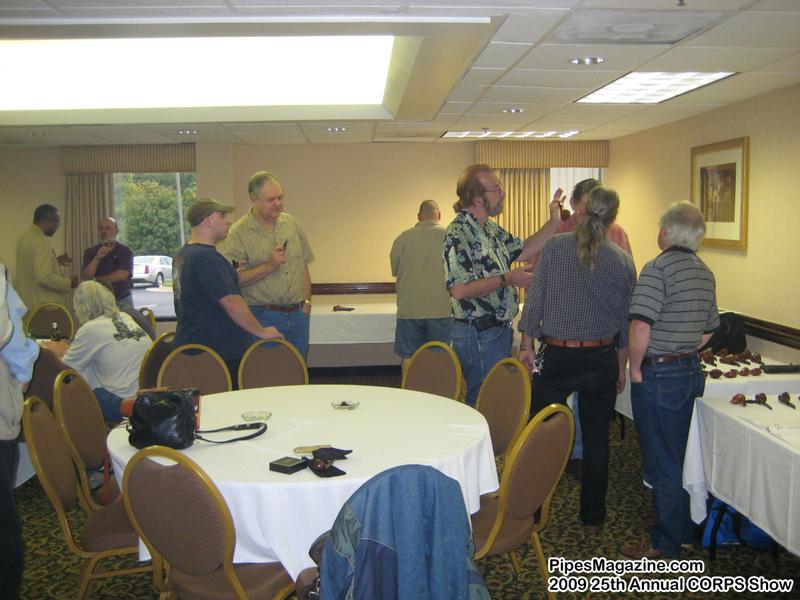 Most of the meetings we have judgings and we get a lot of people that enter pipes and we give out awards for the top Charatans and so forth. PipesMagazine: How are they judged? Bob: They are judged by an independent panel, usually three to four judges and people you know that are known in the industry. And for example, the first year we had Bobby Eichorn who isn’t here tonight, but Bobby’s probably one of the, the biggest collectors in the world of Charatans. I mean he has fabulous Charatans - everything that you can think of and they are all top of the line stuff. And you know Marty … I, I think Marty was a judge one time. I know Fred Hannah was. I know Rich Esserman was, and they just, we go around and we judged on best of the grades of the Charatans and then we had a total collection award also. 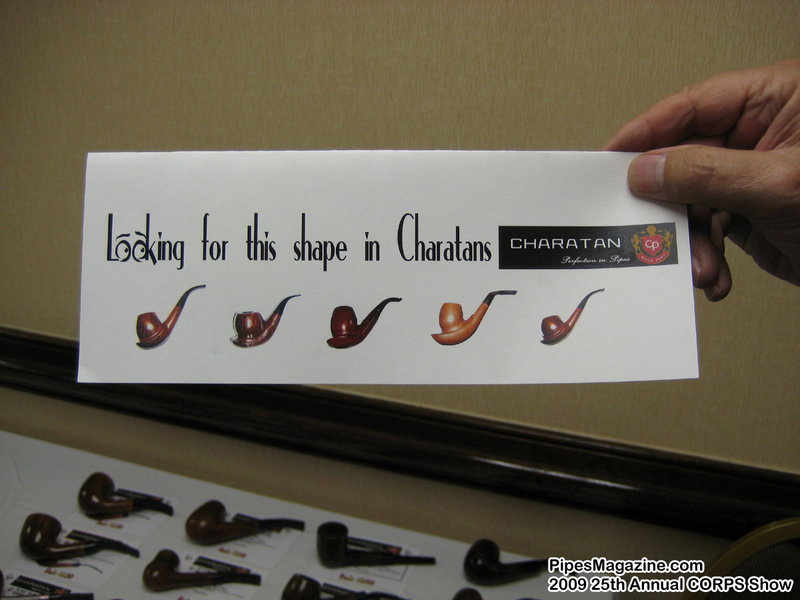 PipesMagazine: Give me a brief rundown on Charatans in general, for the uninitiated. Bob: Charatan and Dunhill for years - I’m an old man okay - were always major competitors. And Charatan was not run by businessmen. They were pipe makers. And they didn’t run the business like Dunhill did. Dunhill were businessmen. 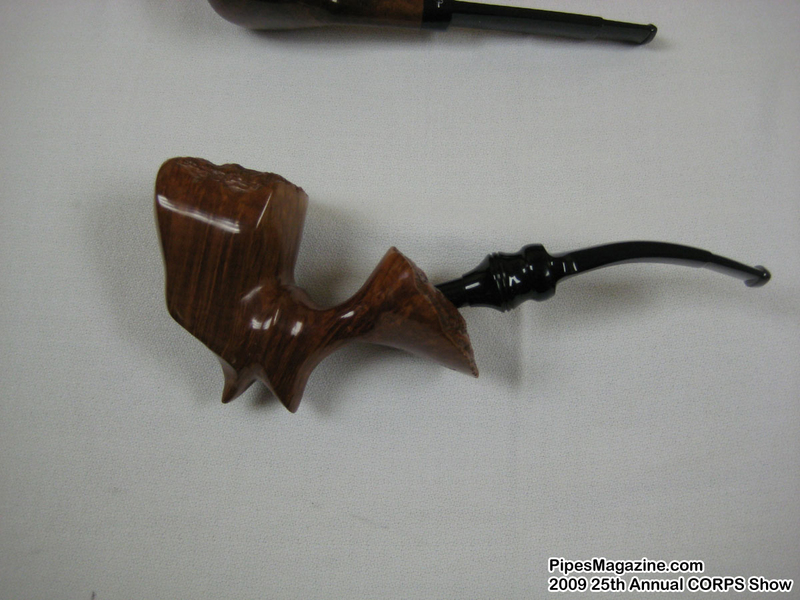 Dunhill ran, and still to this day makes frazing machine pipes. You know they’re not really handmade pipes; they’re frazing machines which is just a copy machine if you don’t know what that means. 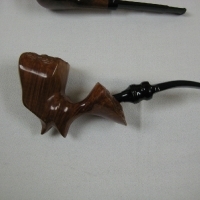 Charatan always made free hand pipes. 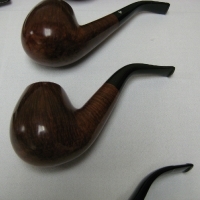 So, the big difference is Charatan has pipes that are free hand and made with the grain. They look for grain. 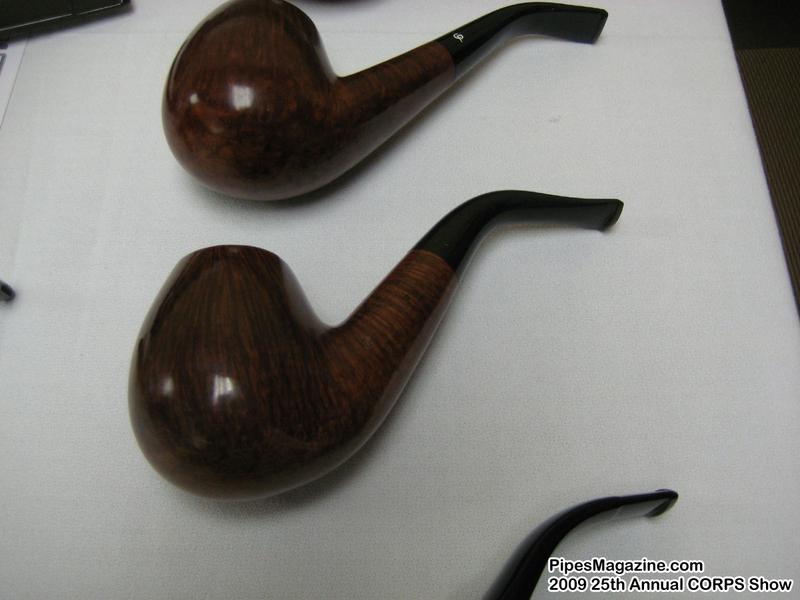 Where Dunhill looked to make a, a standard shape - and I’m not being demeaning Dunhill. 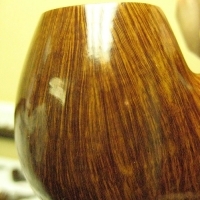 I’m just saying they made a standard shape and they covered up the grain with stain and the grain didn’t mean much. It might have been blasted or whatever, but Charatan was always known for its grain. And there were battles for over 20 - 30 years. The person with the biggest effect on Charatans was Herman Lane, who started Lane Limited out of Atlanta. He bought the rights to distributorship of Charatan in America. So, one of the biggest distinctions in Charatans in America versus Europe is that when you see a Lane Limited stamp - which is a pound L in a circle - a lot of people don’t know what that means, but that means that it was a pipe that was made by Charatan in England and distributed to Herman Lane and Herman Lane put his Lane stamp on it. There is a Lane Era and this is a big thing in Charatans. 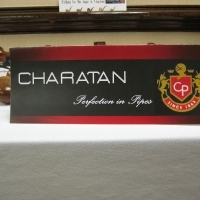 If it doesn’t have a Lane stamp on it, it probably is a European made, a Charatan European made and European distributed Charatan. Okay. And this takes you back to the inability of Charatan to really be a good business manager with it. It doesn’t necessarily always mean that because sometimes Charatan forgot to stamp the Lane Limited stamp on it and so forth. It’s really very hard to date Charatans versus it’s very easy to date Dunhills because Dunhills always have date stamps on them and serial numbers that you can date them by where Charatan isn’t that way. So you have to really know what you’re doing in dating a Charatan. 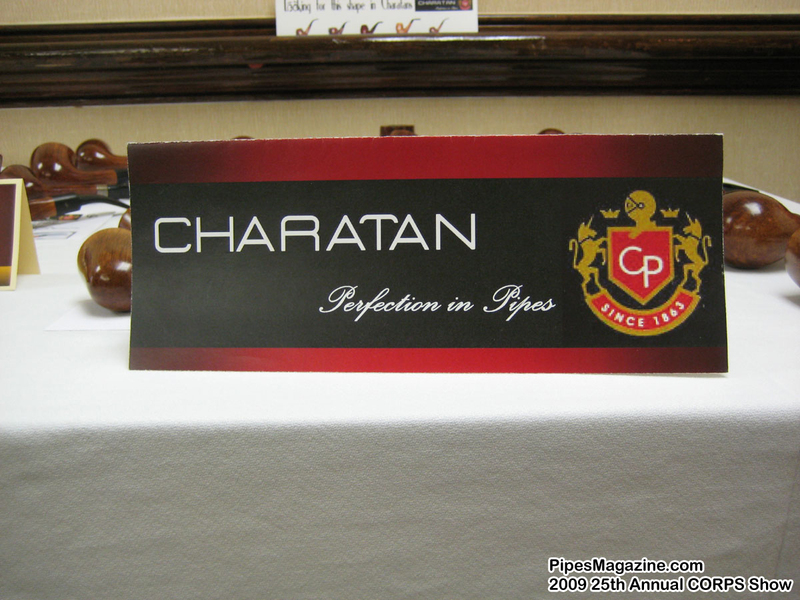 PipesMagazine: How long have Charatans been around? Bob: Charatans have been around since the ’40s. PipesMagazine: Now are they still made now? Bob: No. Charatan went of business in the early ’80s. Dunhill won the battle. When Dunhill bought them out they took all of the Charatans that were still in existence and X’d them all out. They stamped them all out and sold them for whatever they could get for them. 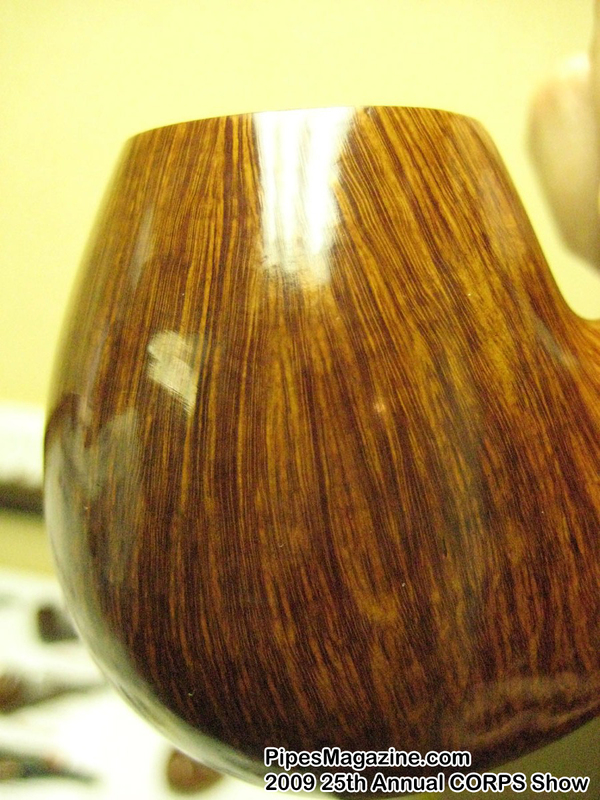 So, you’re talking a pipe that might have sold for a grand sold for 50 bucks. Bob: And, but it was all stamped out by Dunhill. PipesMagazine: When, when you say stamped out what…? Bob: All the stamping on the pipe - you know the Charatan make and all this stuff. PipesMagazine: They got kind of obliterated. 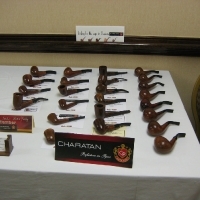 And Charatan’s claim to fame was that they were England’s oldest pipe maker. So, they say that they went back to. I think it’s, 1863, but don’t hold me to that. But basically in America we’re talking like I said in the 1940s. And Herman Lane bought the rights to Charatan in 1955. And there’s a lot of questions on that. I have a book that he wrote about himself, that says 1955 he bought it. So, that’s, that’s a hard number. 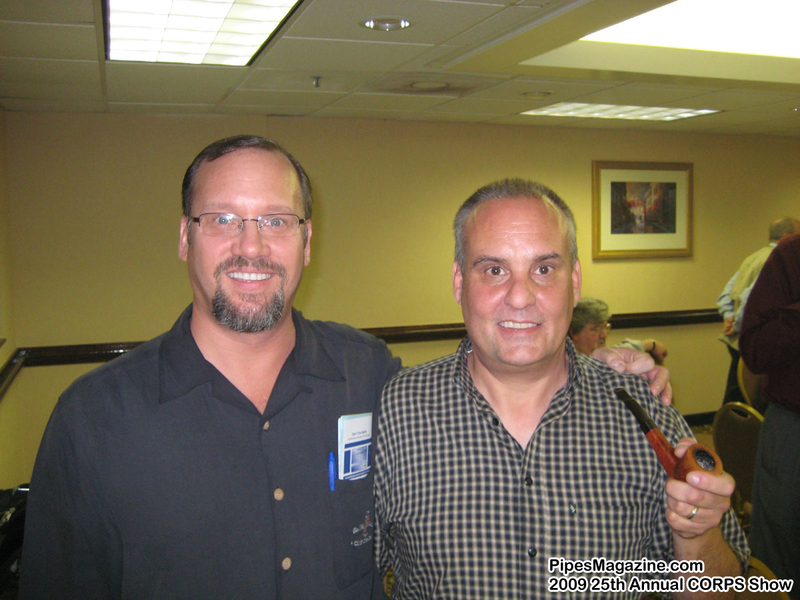 PipesMagazine.com thanks Bob Swanson for inviting us to the International Charatan Collectors Society meeting at the 2009 Richmond Pipe Show, and for telling us the fascinating and interesting story of Charatan Pipes.